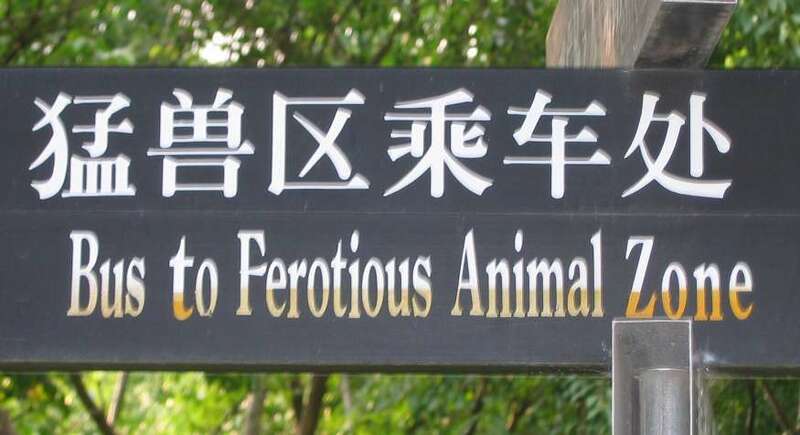 The Chinese really do proof-read their English well, don't they? Everywhere you go the English translations are all perfect with respects to the words used, the spellings, the grammar and the punctuation. It's such a joy to be in China as an English-native speaker. Wallaroos - For a moment I got excited that they actually knew what a wallaroo was when I saw it on the park map, however when we arrived at the enclosures they had wallaby and kangaroo enclosures only, the latter of which was actually holding a wallaby. Tiglons - Maybe this is what happens when a male tiger and female lion get together? Ligers - The reverse of the above? Zoologicl centre - Spell check, spell check, spell check. Strange House - A very strange house indeed. Wide goose - I didn't see any wide geese. I saw some geese that were probably wild geese once, now sanitised by their new and controlled environment, but they were definitely not very wide. 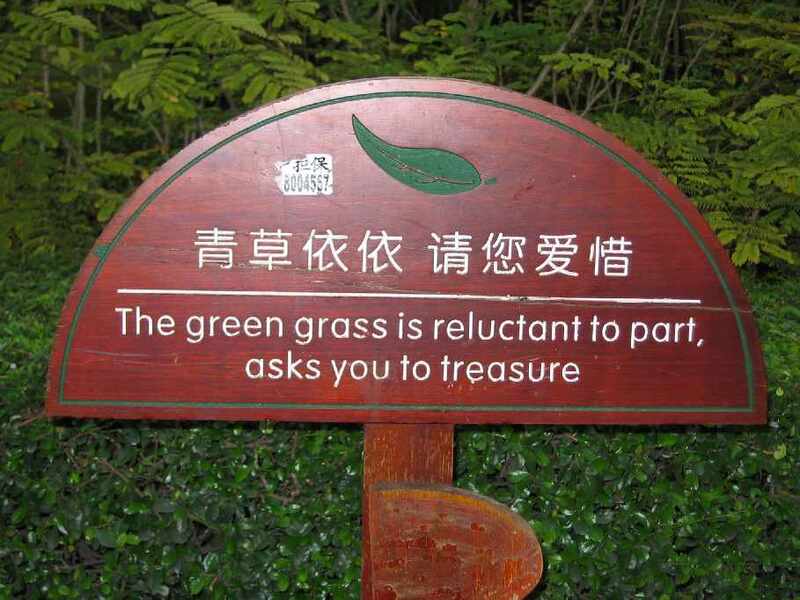 I didn't realise that the grass had such strong feelings on the matter! This label was on the toilet in our hotel in Hong Kong. 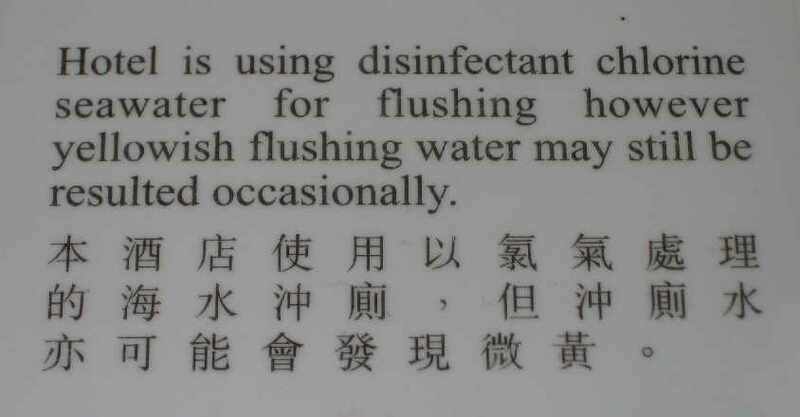 Apart from being a mild Engrish experience, I thought it was a rather resourceful way to conserve water. The hotel is located quite close to the sea so they probably just have a pipe sucking up sea water, pump it through a treatment unit in the basement and then send it up the building to all the toilets. You can tell that the water being used isn’t regular tap water because you can smell some of the salt and chlorine whilst standing over the toilet. 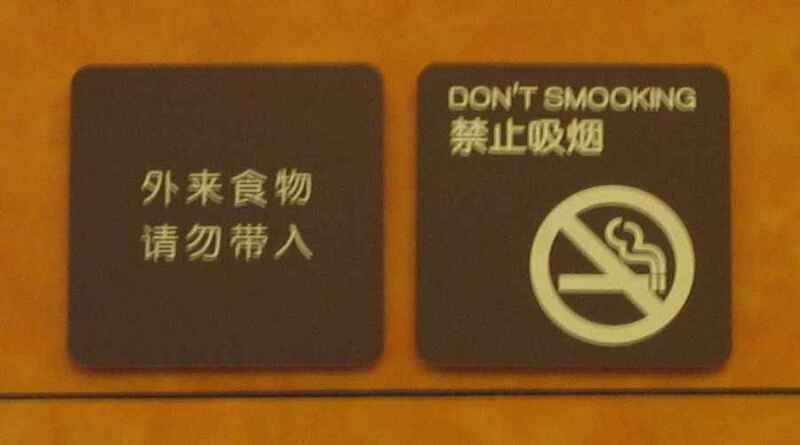 You wouldn’t dare smook here, would you? Because we live in a sea of Engrish a lot of it goes unnoticed or I simply can’t be bothered carrying my camera everywhere to record it. Sometimes, however, I spot a few really good examples that are worth reporting. Whilst at Minsk World last weekend these two instances in particular took my fancy. 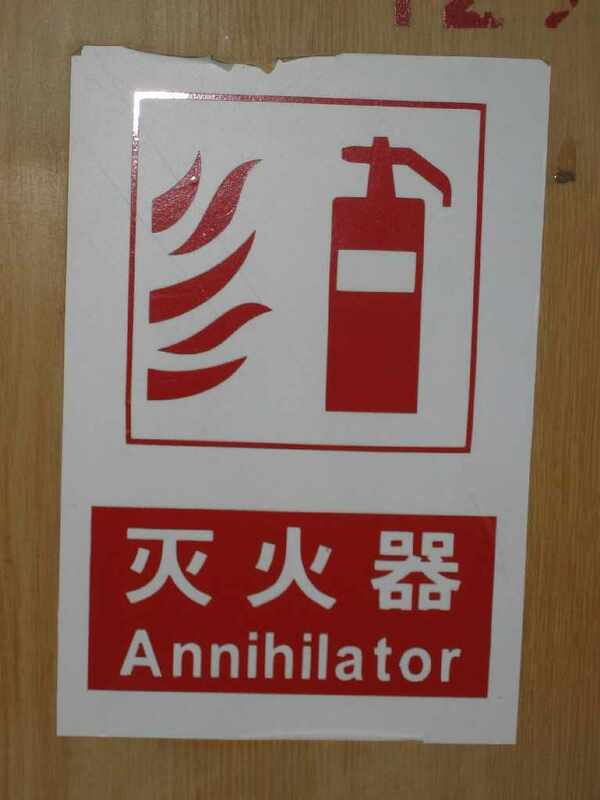 I think this fire annihilator must spray liquid oxygen or petrol, rather than foam or water. 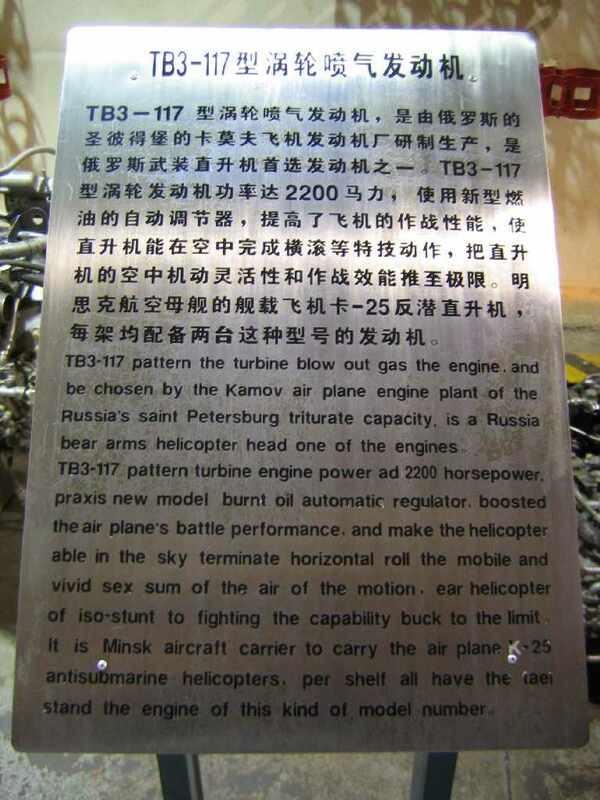 As for the TB3-117 turbine used in some Russian helicopters, you make up your own mind.